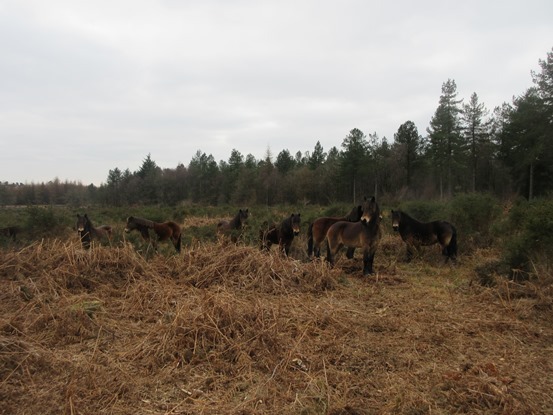 We were greeted by the eight Exmoor ponies which had arrived at Edgehills last week. 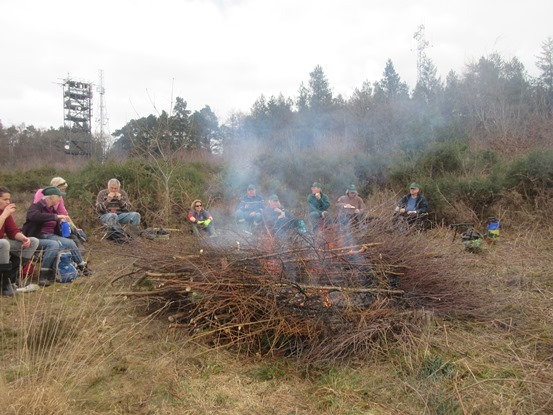 They had been at Tidenham Chase for a few years and were now going to do the job of keeping the gorse, bramble and bracken under control following our efforts to clear the heathland of the birch! The ponies have settled in well and when we checked the new fencing it was interesting to see their hoof marks all round the perimeter so they must have explored the massive area. 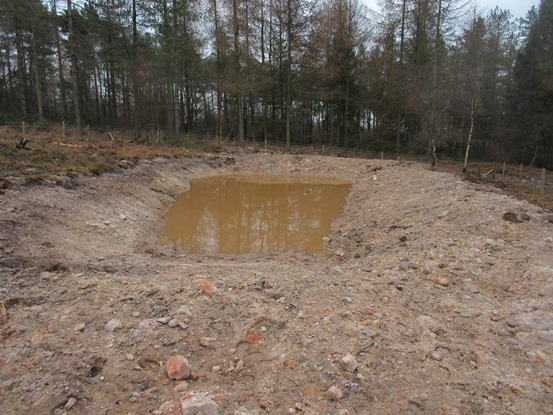 This is a new pond which has been excavated for the ponies to drink from. An older pond in the middle of Edgehills was fenced round to keep the Exmoors away from it as it was in boggy land and would have got too churned up. The team relaxing around the fire.